Tuesday -- Thursday ....6:30 a.m. - 6:00 p.m.
Friday....6:30 a.m. - 7:00 p.m.
Saturday....6:30 a.m. - 6:00 p.m.
Sunday.....6:30 a.m. - 5:00 p.m.
Centrally located in the village of North Syracuse...located on Route 11 just north of Taft Road, 1/4 mile before the Bear Road intersection. 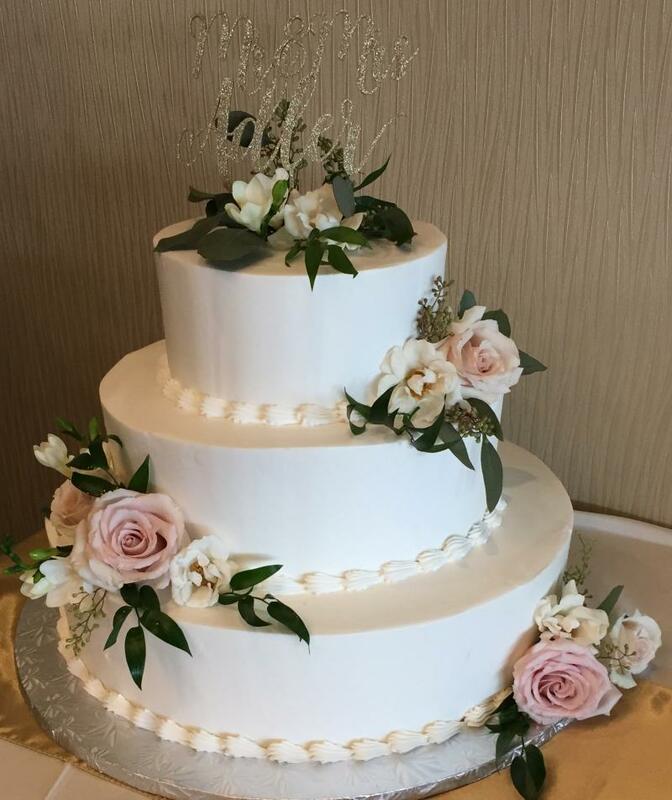 *Purchase a wedding cake at Mario's during April & receive 3 lb. Italian cookie tray delivered to your reception venue. * Free 3 lb. Italian cookie tray value $52.50 with minimum wedding cake purchase of $450.00. Copyright 2012 Mario's Bakery, Inc.. All rights reserved.